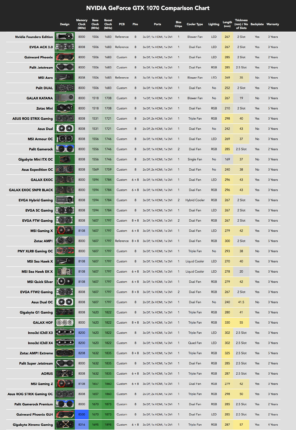 Check out our list of all NVIDIA GeForce GTX 1070 GPUs on the chart below. By this point, you probably know that not all graphics cards are created equal. For any given model, there are numerous iterations and lots of different companies striving to make their version the best through modifications. The GTX 1070 is no exception. 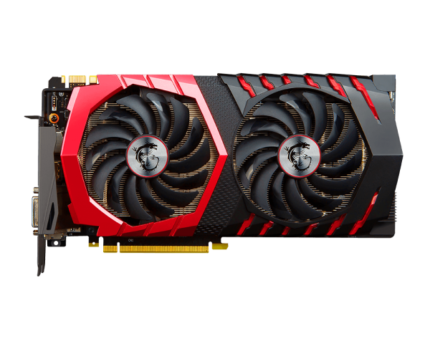 It’s one of NVIDIA’s more recent cards, but there’s no shortage of improved models, and as a result, “which is best” becomes an entirely subjective question. What do you like in a GPU? 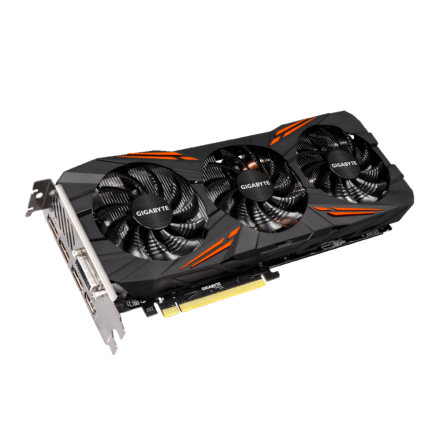 Thankfully, we’ve found some of the very best GTX 1070s so you don’t have to spend your time trawling through long lists of specifications and can more easily find the best one for your needs. Straight off the bat, this card has a higher clock speed than the standard one (1620 vs 1506MHz) and when you overclock it, this difference becomes even more pronounced, with this model dropping off at around 1900MHz instead of around 1700. One of the reasons this card can reach these speeds is due to the inclusion of an additional fan and while this usually means more noise, that’s not the case. The fans can be configured to kick in at a certain temperature, so when idle, they’ll actually be quieter than a card which has the fans running permanently. It also deals with heat much better, with a power draw of less than 290W under load and a TDP of 182 instead of 150. Ultimately, this means lower running costs and given that it’s not much more expensive than the standard card, it might actually be more economical in the long run. 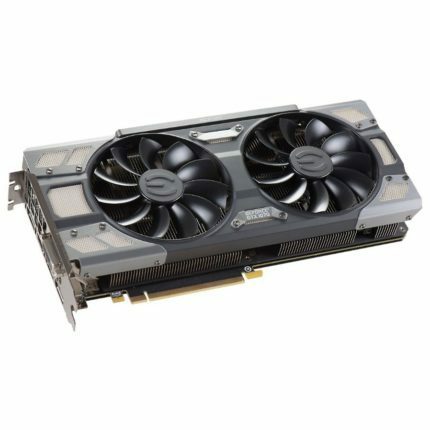 As a result, this is undoubtedly the best GTX 1070 for people who value efficiency over raw power. If you’re looking for the best possible performance, the MSI Gaming X is the one for you. It comes pre-overclocked, but as ever, there’s scope for improvement. With a little work, it can go as high as 2080MHz, which is a clock speed improvement of 72% on the Founder’s Edition. That’s enough to run the Witcher III at 4K with over 60 frames per second, making it one of the fastest GTX 1070s around. The fans are also much better. They improve airflow by 22% and are passive until the GPU hits 60°. Given that even under load, the card rarely exceeds this, it’s one of the quietest available, and even when the fans do spin up, they only generate around 40 decibels of noise which is roughly equivalent to a quiet office space. When you take into account that this model is actually less expensive than the Founder’s Edition, it becomes obvious why it’s so popular. More power, less noise and for a lower price – once overclocked, this card is one of the best and will be for a while yet. A super-powerful GPU is great, but the downside is they’re often pretty loud. The EVGA 1070 FTW Gaming ACX 3.0 addresses this problem with its ultra-quiet fans – when idle, they make less than 30 decibels of noise (about as loud as a library). Even when under load, it only raises to 33dB. Even though they’re quiet, they do a good job at keeping the unit cool. It runs at 47° degrees idle, 75° at maximum load, which is a little higher than we’d like. Coupled with a good cooling system though, this won’t cause any problems. This card offers moderate performance increases when overclocked. Its base clock speed is 1607MHz, but with the boost enabled and a few tweaks, it can reach as high as 1927MHz, and that’s without changing the voltage at all. The card is powerful enough to reach an average of 60 frames per second in Dirt Rally at 4K resolution, so while more demanding 4K games may not run smoothly, it’s more than powerful enough for any 1440p gaming. You don’t have to compromise on power just because you’re working on a compact build. 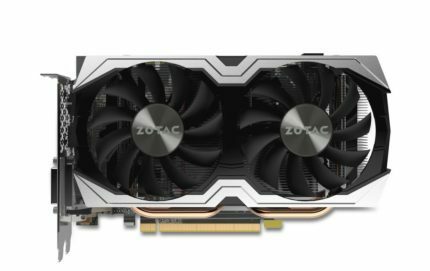 ZOTAC have released one of the best GTX 1070 graphics cards for Mini-ITX cases – it measures a little over 8” long and just 210mm wide, and although it still takes two slots, it more than earns its spot in your case. This card comes with a base clock rate of 1518MHz (1708MHz with boost enabled), but this can be pushed as high as 2050MHz with a little work. Small cases tend to heat up faster, but the fans on this model keep its operating temperatures between 31 and 67°C at all times and are almost silent to boot. You probably won’t be able to run 4K games at anything over 40 frames per second, but you can easily hit 80FPS at 1440p which is something a lot of much larger cards can’t do. If you want to build a small yet powerful gaming machine, this is the best GTX 1070 GPU for you. The GTX 1070 is a great card, and whilst the standard card doesn’t disappoint (it can be found here: http://www.geforce.co.uk/hardware/10series/geforce-gtx-1070/), it has been improved upon by many different companies. The trouble is that with so many options on the market, it can be difficult to make a decision on which to buy. Which is the best GTX 1070 graphics card? Well, that depends on what you value most – power? Efficiency? Good customer support? Fancy lighting effects? Luckily, we’ve put together a brief guide to some of the important things to consider before spending any money on a GTX 1070. How comfortable are you with overclocking? Many of these cards really come into their own with a little bit of tweaking – often adding an extra 30% or more to their base clock and memory speeds. If you aren’t comfortable pushing cards to the limit though, it’s okay. Your manufacturer will include a built-in boost button in BIOS which offers safe and decent returns for less than a minute of work. If you’re interested in overclocking but don’t know where to start, there’s a great little guide on Overclockers Club. You should always make sure you have a strong enough cooling system before you overclock though since the temperatures of your components will increase more the farther you push them. The size of your case and your motherboard are the limiting factors here. Small cases need a small GPU, and most versions require at least two motherboard slots, so make sure the card will fit before you spend any money. With a smaller case, you’ll want to make sure you have good airflow too since heat tends to build more quickly in these – even if your GPU has a good fan, it can’t offset the heat from your CPU on its own. Every one of these cards is great in its own way, but the best NVIDIA GTX 1070 graphics card overall has to be the MSI Gaming X. It not only looks great, but it boasts incredible power when overclocked, plus it’s as quiet as it is attractive, even under heavy load. With this card as popular as it is, we can reasonably expect more to appear with time. With our help, you’ll have everything you need to make a decision for yourself but remember: a card that stays cool under pressure beats a card with flashing LEDs any day of the week.